To encourage international GPs to come to live and work in England we have developed easier, faster ways to register to practise for GPs trained in Australia from 2007 onwards and a programme of support (including financial help) for all GPs trained in Australia, no matter when you trained. There are already more than 2,000 Australians working for the NHS. We hope you will come and join them. GPs in England are the foundation of the NHS. They are usually the first person a patient turns to for help and they deal with a whole range of health problems. They are general experts in the whole field of medicine for adults and children. GPs usually work in practices, often leading teams which include nurses, healthcare assistants, practice managers, receptionists and other staff. Practices also work closely with other healthcare professionals, such as health visitors, midwives, pharmacists, physiotherapists, mental health services and social care services. 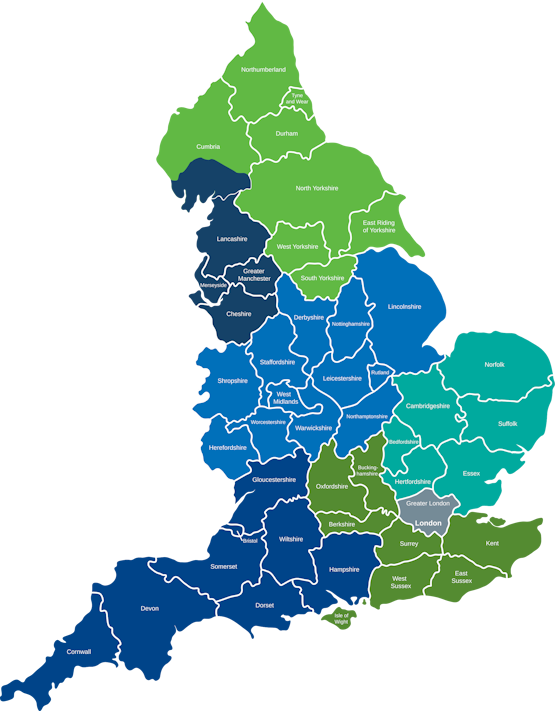 GPs are also at the heart of developments within the NHS to bring health and care services together and to strengthen the focus on improving the health of populations and preventing ill health. 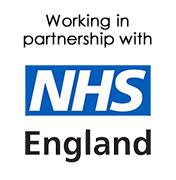 As well as opportunities to practice, the NHS in England also offers GPs the opportunity to lead developments in health services across whole systems. Many GPs choose to work in England because of the attractive salaries and benefits. But the work offers much more: the chance to extend your clinical experience as part of a team of 1.3 million NHS employees, all of whom are proud to work for a 'national treasure' and many of whom have come to England from across the globe. You can be working independently in one to three months, depending on your experience. Once you get in touch with us we will help you through the process - there are no tests or exams and no long and laborious processes to follow. We can guide you through the simplified route developed by the NHS to make your route to the UK quicker and easier. We can also help you find accommodation for you and your family. This is a unique opportunity which we're proud to offer exclusively in partnership with NHS England, making what has traditionally been a difficult process simple and stress-free. ID Medical will provide an end-to-end service including help with accommodation, transport and transition to the UK. We've helped hundreds of international Doctors become GPs for the NHS, and are uniquely positioned to help you navigate the route to UK General Practice. Once England's mighty industrial heartland, today's great cities of the north west are now more famous for their cosmopolitan mix of art and film, sporting events, live music, festivals and fantastic nightlife. Diverse, welcoming, humorous, original, modern; the North West offers the best of both work and play. From the historic and culture-filled cities of Chester, Liverpool and Manchester to the raucous seaside town of Blackpool, the region includes three national parks and Areas of Outstanding Natural Beauty bounded to the west by the Irish Sea and the Pennines to the east. This is home to some of England's top football teams: Liverpool, Manchester United and Manchester City. Away from the towns and cities, South Cumbria's Lake District - a UNESCO World Heritage site - with its beautiful tranquil lakes and stunning scenery, has long been an inspiration for poets and artists such as Wordsworth and children's writer Beatrix Potter. Hill walkers, climbers and mountain bikers can enjoy the untamed ruggedness of Lancashire's Forest of Bowland and the mountains and fells of the Pennines and Yorkshire Dales; while Hadrian's Wall (built by the Romans in 122 AD), cuts a swathe right across northern England. With miles of unspoilt coastline, lively cities and market towns, house prices here are affordable with low commuting times and access to international airports, all making the North West a wonderful place to live. You will find a warm welcome in the North East, one of the most exciting, friendly and scenic places to live. Whether you want city, costal or rural living, the North East is one of the most affordable places to live in the UK. There are five major cities offering vibrant culture, great cuisine, world-class entertainment and cosmopolitan living. Cities like Newcastle and Leeds rival their European counterparts for culture, heritage, great night life and fabulous retail. Newcastle is linked by seven bridges across the River Tyne to Gateshead, home to the Sage Gateshead Concert Hall and Baltic Centre for Contemporary Art. The medieval cities of Durham and York offer stunning cathedrals and castles, lined with cobbled streets. Leeds, with its huge student population, offers an incredible variety of nightlife, shopping destinations, arts, music and entertainment. Outside the cities there are plenty of buzzing towns such as Hull, Beverly and Malton or the Victorian seaside quaintness of Scarborough, Saltburn and Tynemouth Longsands. There's a proud sporting tradition here too - home to Leeds United, Newcastle United and Sunderland football clubs, premiership Leeds Rhinos and Newcastle Falcons rugby teams, Yorkshire and Durham county cricket clubs. For the great outdoors, Northumberland's swathes of rugged coastline are dotted with sandy beaches and romantic castles, there's surfing at Tynemouth or the coast-to-coast cycle trail to Carlisle. Northumberland National Park and the mountains and fells of the Pennines and Yorkshire Dales all attract thousands of walkers and climbers every year. The Midlands is the heart of England containing Areas of Outstanding Beauty, vibrant and diverse cities, buzzing market towns and villages steeped in history, coupled with great transport links to the rest of the country and international flights from Birmingham Airport. It's here you'll find Stratford-on Avon - Shakespeare's birthplace - the cathedral towns of Lincolnshire and Worcester and the lively, culture-rich cities of Leicester and Nottingham, full of castles, historic houses and gardens. At the heart of the region is Birmingham, among Europe's most exciting, energetic and sophisticated cities. With a centre which has been transformed, Birmingham is home to outstanding museums, music and concert venues, clubs, top restaurants, curry houses (where the Balti curry was invented) and the Bull Ring - one of Europe's biggest shopping centres. Within striking distance are the rural shires of Shropshire and Herefordshire, with the Malvern Hills that stretch out towards Wales. Derbyshire's Peak District offers hiking and biking trails, and picturesque Victorian spa towns such as Matlock and Buxton, attract visitors by the thousand. There are a huge variety of local sports clubs, facilities and events right across the region including international matches at Edgbaston Cricket Ground, the Alexander Stadium for world athletics, premier and league football and rugby clubs, ice hockey and Donnington Park motor race track. Well known for its flat, reclaimed fens, the beautiful area of East England extends from the irresistible sandy beaches of Norfolk, Suffolk and Essex, through to the waterways of Cambridgeshire, down to the home counties of Bedfordshire, Luton and Hertfordshire just north of London. The region is rich in historical and cultural highlights including the world famous university city of Cambridge - with the beautiful Bridge of Sighs and Mathematical Bridge crisscrossing the River Cam. The south of the region is poised on the edge of London's commuter belt. Once the out of town bolthole of the rich and titled, the area is dotted with grand stately homes and picturesque Georgian towns on the edge of the sweeping Chiltern Hills. It's an area rich in entertainment. Take the tour of Harry Potter tour at Warner Bros. Studio, or explore more than 200 kilometres of coastline with its grand old seaside towns like Great Yarmouth, cosy country pubs and quaint villages. East England hosts some great cultural events celebrating Indian, African and German culture, while Cambridge's Folk Festival and Southwold's Latitude festival serve up some of the best music in Europe. One of the most visited places in the world, London is a magnificent city world famous for its rich history, wonderful architecture, palaces, museums and galleries, shopping and wonderful green spaces. Greater London is made up of 32 boroughs, cut through by the River Thames, each with their own charms and character. Marvel at the city's many iconic buildings and landmarks - Big Ben, Buckingham Palace, London Bridge, the Tower of London and the London Eye to name a few - or relax in one of the many Royal Parks and green spaces across the Capital. It's a shopper's paradise, with fabulous markets and vintage shops all over the city, shopping districts like the West End and White City and the luxury department stores in Kensington and Chelsea. London is famed for its nightlife, offering world-class London theatres, top clubs and DJs, an alternative Camden scene, trendy nights out in Shoreditch, as well as hundreds of bars, live music, comedy venues and restaurants galore. There are thousands of sports clubs and facilities across the Capital as well as Lords Cricket Ground, Wembley Stadium and Twickenham - the home of English football and rugby. Getting around is fantastically easy with 24 hour bus and metro services (called the Tube), plus a network of overland trains, linking the city together. For international and European destinations, there are quick trains out to Heathrow Airport and it's just over two hours to Paris or Brussels by Eurostar. Some of the South East's attractions are known the world over: Royal Windsor's famous castle, Oxford's 'dreaming spires', Canterbury Cathedral and the White Cliffs of Dover are all synonymous with England itself. Stretching from green county of Kent in the east, across the south coast through Sussex to the New Forest in Hampshire, and north through Surrey, Berkshire, Oxfordshire and Buckinghamshire, the South East offers some wonderful places to live. The South Coast is home to a vibrant night life with a great choice of night clubs, live music, comedy venues, bars and pubs in Southampton, Portsmouth, Folkestone and Eastbourne. Brighton's world famous LGBT scene, fantastic clubs and kitsch boutiques have long made it a top UK destination, while Reading and the Isle of Wight host some of the UK's biggest music festivals. With 300 kilometres of coastline, sailing and water sports enthusiast will find plenty of action. International sailing championships from Portsmouth and Cowes attract visitors from around the world. Catch skiing, snowboarding and indoor skydiving at Milton Keynes Xscape centre, Formula 1 racing at Silverstone, and Royal Ascot and Goodwood for some of England's top horseracing events. With its proximity to London the South East's well connected to the rest of the country, international and European destinations from Gatwick, Heathrow and Southampton airports, ferries and Eurostar trains to Europe. South West England is a pretty magical place, full of ancient places and stories. Stretching from Dorset in the east to Cornwall in the west this region is home to the legends of King Arthur and Glastonbury Tor, Stonehenge, wild moors and Jurassic coastline which has long been a magnet for artists, writers and visitors the world over. Bristol, the region's largest city, is full of contrasts. Elegant Victorian terraces sit next to buildings adorned in street art - Bristol, after all, is the spiritual home of Banksy. Its colourful houses, lively waterfront, vibrant music, club and arts scene all makes for a cool vibe. The nearby historic city of Bath - famed for its Roman Baths - and the charming old market towns of Wells, Frome and Salisbury - complete with Gothic cathedral - are full of specialist shops, arts and crafts, antiques and collectibles. To the west of Bristol lie the Cotswolds, an Area of Outstanding Natural Beauty, that's home to the lively, historical market towns of Cirencester, Tetbury, Stroud and Tewkesbury and the buzzing, cosmopolitan towns of Cheltenham and Gloucester. Its biggest draw are the magnificent beaches on the south and north coasts. Visit the famous seaside towns of Bournemouth, Weston Super Mare, Plymouth and St Ives or the sailing resorts of Weymouth, Salcombe and Falmouth or try the surfing beaches of Saunton Sands, Newquay and Polzeath. To begin the process of moving to the UK, please complete this form. Only doctors who match the criteria outlined above and who are fully committed to completing the recruitment, training and development processes are encouraged to apply.